Chocolate, cheese, wine discovery excursion in Franschhoek. Explore Cape Town, Table Mountain, and the Cape Peninsula. 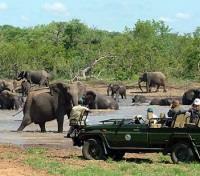 Search for wildlife during daily game drives in Kruger National Park. 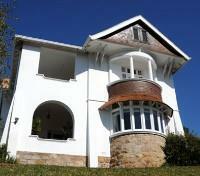 Discover the towns of the scenic Garden Route. 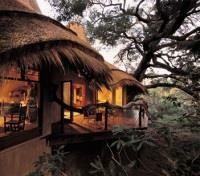 Featuring expertly selected hotels, and VIP arrival assistance in Johannesburg. This tour provides you with an opportunity to take an in-depth look at South Africa’s turbulent past. 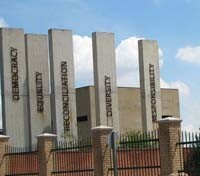 Starting with a drive across Johannesburg to the south of the city to visit the Apartheid Museum (closed on Mondays), which opened its doors in 2002. Here you will embark on a historical voyage of discovery, a personal exploration of the past that examines the story of apartheid right up to the first democratic elections, held in 1994. The tour of the museum lasts approximately two hours. 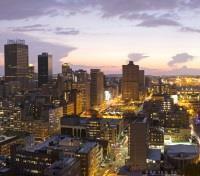 Then continue to the Constitution Hill precinct, bordered by the inner-city neighborhoods of Braamfontein and Hillbrow. It is here that South Africa’s new Constitutional Court opened in March 2004. The new court building is, most appropriately, established on the site of the Johannesburg Fort, built as a fortress in 1898 and later converted to one of the country’s most notorious prisons – popularly known as “Number Four”. Your visit here includes entry to the museum which has been established in the old prison and brings home the significance of this development and what it means for the future of Johannesburg. Begin a two hour eco-friendly cycling adventure around the township, getting to know the different communities and their histories. Visit places such as a former migrant workers’ hostel for men before continuing to Meadowlands, famous for the forced evictions from Sophiatown in the 1950’s. Cycle through historical landmarks of the 1976 student uprisings and visit the memorial site of Hector Pieterson. 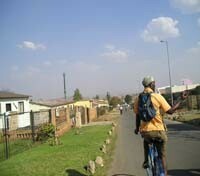 You will also cycle down Vilakazi Street where Nelson Mandela used to reside, and where Bishop Desmond Tutu has his home. Lunch is included at a local establishment where you will have the chance to enjoy a delicious traditional African stew, cooked over a fire and served with a chunk of white bread – a Sowetan ‘bunny chow’. Both fun and informative, this is an activity geared for individuals and families who wish to embrace the unique character and friendly street culture of Soweto. 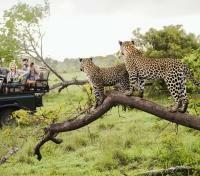 Start your safari with a private transfer from Hoedspruit to your lodge in the Greater Kruger Area. Approximate travel time ranges depending on seasonal weather conditions and the location of your accommodation, taking between 30 minutes to two hours. 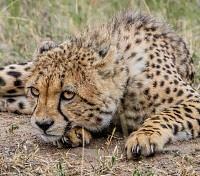 Having had the chance to settle into your lodging - and to prepare for an adventure - meet with other guests of the camp to set out on your first authentic game drive. Sunrise and sunset are when animals are most active, and the Greater Kruger Area features some of the largest private game reserves in Africa, home to an incredible range of wildlife including the Big 5: the African elephant, lion, leopard, Cape buffalo and rhinoceros. Spanning across the provinces of Limpopo and Mpumalanga, the Greater Kruger Area covers a near unfathomable span of land upon which animals both large and small prowl, graze and roam free. Alongside an experienced ranger and tracker, you will explore fascinating and beautiful frontiers through the afternoon and until the sun sets, camera in hand, before returning to your lodge to prepare for a decidedly different adventure; a freshly prepared dinner that you won’t be soon to forget. Adjacent to the majestic Olifants River inside Greater Kruger Area, Pondoro Game Lodge offers comfort, sophistication, and elegance in the heart of the bush. This exclusive lodge features eight chalets spread out along the largest perennial river in Kruger National Park, a hotbed for animal activity. Meals are an extraordinary culinary experience where traditional African cuisine fuses effortlessly with modern European haute trends. Served on a wooden deck high up in the tree canopy overlooking the Olifants River where game are often spotted, fine wines from the award winning Pondoro cellar are paired to compliment the mouth-watering food. Serenity Spa offers an escape to a place of sophistication and indulgence, surrounded by elegant decor and cascading waterfalls, it is an environment of breathtaking ambiance, much like the surrounding bushveld. Before the blistering sun takes its place high in the African sky make use of the opportunity to discover even more wild game. First thing in the morning, depart to discover the animals of the Greater Kruger Area, home to herds of trumpeting elephants that gently wander through the savannah; will today be the day you see them first-hand? As in the day before, you will be returned to your lodge after a few hours of game viewing to enjoy a complete and hearty breakfast. 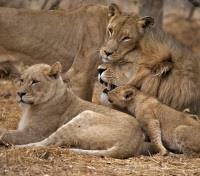 Continue your day after lunch with an exciting afternoon game drive. Perhaps the day will include massive, lumbering hippos emerging from the water to snack on nearby grasses, or predators beginning their nightly hunt as grazing antelope roam the plains. Out on the open reserves, trace across new lands as you gain a deeper and more intimate understanding of the South African bushveld before returning to the lodge for another fantastic dinner. Before first light, begin another day of exploration in the bush. With 507 varieties of bird, 147 mammals, 114 reptiles, 34 amphibians, 49 fish and 336 types of trees, you are sure to discover animals and flora that have gone unnoticed on previous outings. As in previous mornings, you will head back to your lodge for breakfast after a few hours exploring the land. Night drives allow you to see nocturnal animals that are not encountered during the day, and a host of daylight animals behaving quite differently. Setting out as dusk begins, you may spot leopards in particular, and with a bit of luck, you may even encounter these predators while on the hunt. 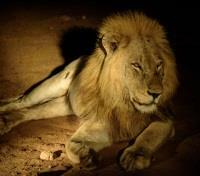 During evening drives, trackers employ a powerful spotlight to search for and showcase predators and prey. Lions, hyenas, aardvarks, bat-eared fox, porcupines, bush babies, bushbucks, mongoose, genet cats and nocturnal birds like owls and nightjars are just some of the animals fortunate guests may spot this evening under the African starlit sky. Ahead of first light it’s time set out on an early morning game drive to discover the many animals that stalk through the bush during the early hours of the day. This is one of the best times time to view game, and it is made all the more spectacular as the rising sun dawns upon the unspoiled African bush; the world over, this place is known as the Land of the Rising Sun. Prepare to spot resident predators enjoying the spoils of their hunt the night before and a dizzying range of smaller mammals and bird life. After a few hours of exploration, photography and education, you will return to the lodge for a mouth-watering, well-earned, fresh-made breakfast. 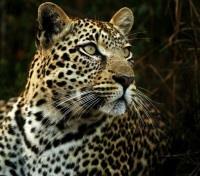 Transfer from your lodge in the Greater Kruger Area to Hoedspruit with a private driver and vehicle. Travel time vary based on your departing and arrival destinations, ranging from 30 minutes to two hours. Board a flight in Hoedspruit with direct service to Cape Town. Approximate flight time is two hours. 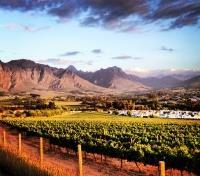 Enjoy a private transfer between Cape Town and Franschhoek. Approximate travel time is one hour. 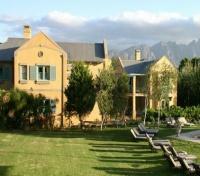 Nestled between towering mountains in the beautiful Cape winelands lies the magnificent Franschhoek Valley. This is the food and wine heartland of the country, where splendid wines are grown and top chefs create international cuisine. With a wealth of restaurants, cooking classes, quaint towns, shops, nearby Stellenbosh and small wineries to explore Franschhoek is your perfect base as you explore South Africa's famous winelands. Here breath-taking scenery, warm hospitality, world class cuisine and the finest wines all combine to create lasting memories. The Franschhoek Country House & Villas is a 5 star hotel located in the heart of the Franschhoek Valley, just 1 km from the main town. Guests can choose to stay in the original and charming 14 guestrooms at Franschhoek Country House or the 12 recently added luxurious Villa Suites. 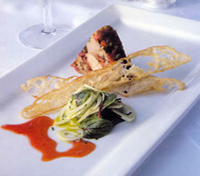 Voted as one of South Africa’s top restaurants, Monneaux Restaurant features a contemporary take on Mediterranean classics influenced by local Cape Malay flavours. Sample some of the mouth-watering wines from the underground cellar, showcasing local and international bottles. Relax and unwind with a range of spa treatments by qualified professional staff at the on-site spa. Lounge out by the two outdoor swimming pools and enjoy the panoramic views of the surrounding area. Reception staff at Franschhoek Country House & Villas are happy to arrange a variety of activities for guests, such as wine tours, wine tasting on horseback, golf and more. Explore one of the most scenic and beautiful areas in South Africa, visiting fascinating towns and taking a look into off-the-beaten-track farms which celebrate and honor their old-world roots and influences. Today is about so much more than just sipping fine wines. Depending on the timing of your trip, stroll through seasonal vines and learn about local farming methods and techniques with the help of your expert private guide. 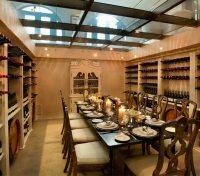 Take an intimate wine-tasting and cellar tour and possibly meet the driving force behind the estate. If lucky, your behind-the-scenes experience may include grape picking or barrel tastings. Explore striking Stellenbosch, browsing through its wealth of appealing stores and museums, and sip local coffee blends in tempting cafes. 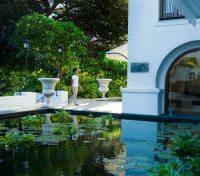 Let the pairing of wine and olives awaken your senses before meandering through lush gardens bursting with life. Admire a collection of contemporary art, see the highest-growing vines and, from an elevated point, take in the stunning vistas over an old-world estate. 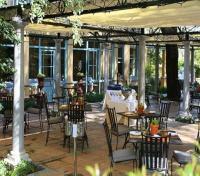 In the afternoon, discover Franschhoek. Established by the French Huguenots in 1688, this town retains its historic while fusing it with a contemporary vibe. It boasts gourmet restaurants, appealing boutiques and art galleries that you will visit based on your personal interests as the day is tailored to your liking. 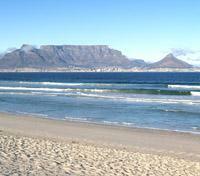 Today, embark on a full day tour of the Cape Peninsula. Starting in Franschhoek, make your way along the coast to Cape Town, taking in the beaches of Clifton, Camps Bay and Hout Bay en route, where you may choose to join an optional boat cruise to Seal Island. Afterward, drive to the Cape of Good Hope Nature Reserve via Chapman’s Peak, one of the world’s most breathtaking coastal drives, where you will board a funicular to the top of the Peninsula to witness the symbolic meeting of the Indian and Atlantic Oceans as well as have spectacular views over False Bay. 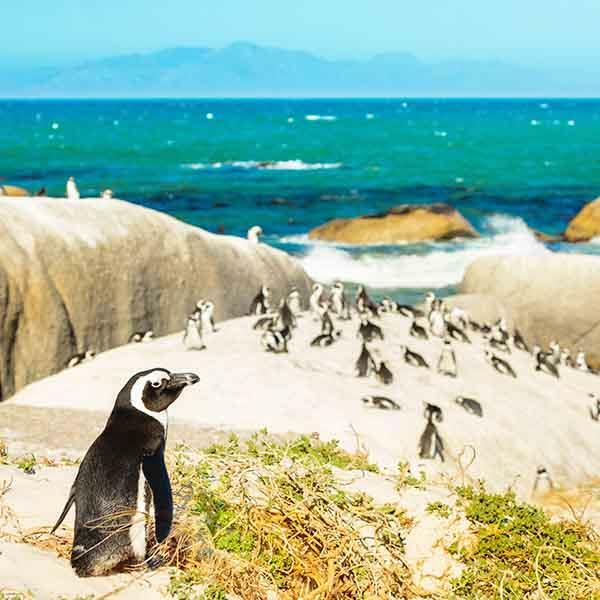 Enjoy lunch in the area (included) before continuing to Simonstown, the naval base, for a visit to the African Penguin breeding colony at Boulders Beach. After a day exploring the Cape Peninsula, you will wrap up the day’s adventure by being transfer to your hotel in Cape Town. Spend some time at leisure to relax and soak in the incredible sights, sounds and culture of the Mother City. Alternatively, considering arranging optional activities while in Cape Town. Dive with great white sharks (in a cage! ), head out on a whale watching expedition, ferry over to Robben Island for an informative lesson on the history of Cape Town’s infamous prison, discover the near-unfathomable biodiversity on Table Mountain, explore the townships near the city including the famed Winelands, or cycle through the city to explore the many outstanding beaches, bays, quays, shops, restaurants and bars that make Cape Town famous. One of the most spectacularly bio-diverse places on Earth, an estimated 1,500 unique species of plant-life are found on Table Mountain alone, many of which are endemic and found nowhere else on the planet. Ascend by cable car as the mist from the clouds open up to the main plateau while striking views of Cape Town come into crystal-clear focus. Now with a better understanding of the city’s layout, walk past Cape Town’s storied past as your guide recounts the colorful histories of the Houses of Parliament, the Castle of Good Hope (South Africa’s oldest building) and the well-tended Company Gardens. Bargain your way through the lively Greenmarket Square in search of souvenir while meeting local artisans along the way. As you enter another one of Cape Town’s famed stop at Bo-Kaap, learn how the Cape Malay community, with its cobbled streets and brightly colored houses became one of city’ most vibrant neighborhoods. 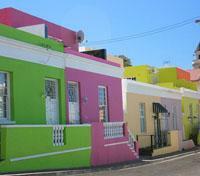 There’s no better way of understanding local history than through your Capetonian guide. From here you have the choice of being dropped off at the V&A Waterfront to experience this landmark at your own pace, with its many shops, restaurants and pubs - or at your hotel to end the tour. 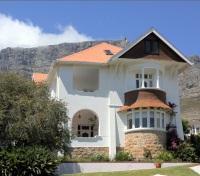 Enjoy a private transfer from the Cape Town Airport to Hermanus. Approximate travel time is two hours. A popular holiday destination for tourists and locals alike, Hermanus is hailed as offering the best land based whale watching in the world. From May onwards Southern Right Whales pay homage to these warm, shallow waters in order to calf their young and to mate. The best time for whale watching is between August and November and at this time the bay is dotted with whales. Sign up for the chance to spot the incredible migration of whales by land, sea, or air. Boat tours offer the most viewing. Besides seeing the amazing whales, boat tours offer a complete experience of the Marine Big5, which includes the whales, dolphins, African Penguins, Cape Fur Seals and surface viewing of the Great White Shark. 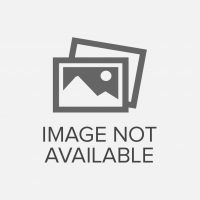 Specialized guides provide all the facts about the whales as well as other interesting information about the magnificent marine life. As these gentle giants are very curious, they often swim right up to the boat to get a better view of the boat and the guests. This trip takes about 2 hours and is a marine experience not to be missed! Other whale watching options include viewings by land. Visitors keen to spot a whale or two need only walk along the cliff path that stetches for 12km from one end of the town to the other. Whales can be seen as close as 20 metres away frolicking in the sheltered bay or just beyond the breakers. 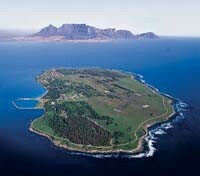 Or fly over the seas by plane flying over the spectacular Walker Bay! The whale watching tours are all part of the Hermanus experience. Pick whichever tour you desire on site and speak to the hotel manager for more details on pricing. Your private guide and vehicle will be available today to take you around to different sights, suggest restaurants, etc. 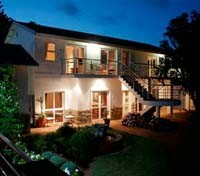 The Abalone Lodge is situated on the magnificent ocean front of Hermanus. 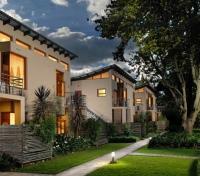 Abalone Guest Lodge offers luxury accommodation for travel, business or leisure. A combination of South African art on the inside & unsurpassed views to the outside position this acommodation as unique in Hermanus. Abalone Guest Lodge has direct-access to the well-known Scenic Cliff Path that makes Hermanus the Land Base Whale Watching Capital of the World. Abalone Guest Lodge on the dynamic Siever's Point, is a landmark seafront property midway between the town centre and the beautiful Blue Flag beaches of Hermanus. Easily accessible via some of the most beautiful routes in the Western Cape, Hermanus is just 1.5 hours drive from Cape Town. This morning your guide will collect you from the guesthouse and travel to the lagoon-side town of Knysna – gem of the Garden Route. Upon arrival you could enjoy some time at leisure at the Knsysa Waterfront Complex before embarking on activities or excursions. Attractions in Knysna include: nature reserves, animal encounters, beaches, free diving, markets, art galleries, golfing, biking, hiking and more. 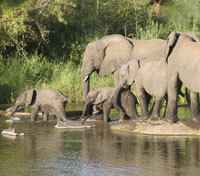 Water activities include excursions into the lagoon, Indian Ocean, dinner cruises, whale watching and more. All entrance costs and excursions are at an extra cost. Enjoy time at leisure today to relax and explore at your own pace. 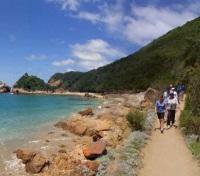 Knysna offers a wide range of activities ranging from animal viewing to adventure activities. Optional activities on site include: Featherbed Nature Reserve, Birds of Eden, Elephant Park, Storm's River, Monkeyland, and more. Some of the water activities include: Paddle Cruiser, private charter sail boats/yachts/charters, John Benn floating restaurant, boat cruises, paddle surfing, kite surfing, canoeing, wakeboarding, waterskiing, tubing, Pontoon Cruises, kayak, shore scuba diving, fishing, and swim with seals! Speak to your guide or travel advisor for more details. 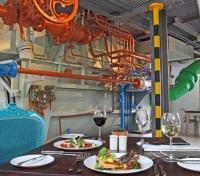 Enjoy an extra special experience at The Turbine Hotel and Spa, a five-star boutique hotel in Knysna. This exceptional boutique hotel is situated on Thesen Island, which is considered one of the most prestigious locations on the Garden Route. 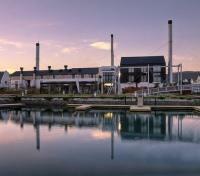 The Turbine Hotel and Spa was an ambitious project which transformed the old power station into a boutique hotel on the Garden Route, now with a massive wow-factor. All of the old machinery which was used in this power station has been creatively restored and forms an integral part of the hotel’s aesthetics. The Turbine Hotel and Spa offers 17 suites, 6 luxury suites, a honeymoon suite and the self-catering Water Club apartment. Dine at the Tapas Bar, serving delicious light meals for lunch and dinner. 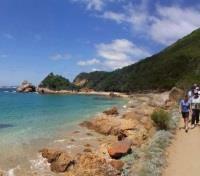 After breakfast, depart to the lagoon-side town of Knysna. Enjoy some time at leisure at the Knsysa Waterfront Complex before embarking on an excursion to the Featherbed Nature Reserve. 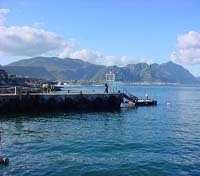 The trip includes a ferry across the lagoon to the base of the western head with a drive to the top of the reserve, stopping at spectacular viewpoints. 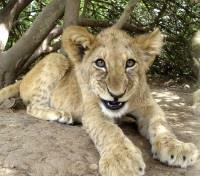 Your specialist guide will provide information on history, flora & fauna. There is an optional guided 2.2km walk through coastal forest and fynbos into ancient sea caves (on own account). The tour ends with a delicious buffet lunch served under the shade of the Milkwood trees. On return to the mainland, continue on to your hotel. Enjoy your private transfer today from Knysna to the airport in George. 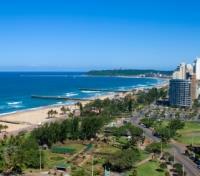 Take your flight from George to Durban today. Travel time is one hour and 25 minutes. Standing majestically on Umhlanga’s prestigious beachfront on the eastern seaboard of KwaZulu-Natal, with sweeping views of the Indian Ocean and direct beach access, the Oyster Box Hotel is one of South Africa’s most distinguished hotels. Perfectly situated on the ocean’s edge, a brief 5 minute walk from Umhlanga Village Centre, the Oyster Box Hotel is conveniently located for quick and easy access to Durban city centre, International Airports, and numerous stylish shopping centres, yet has a feeling of classical charm and elegance like nowhere else on earth. From the moment the Oyster Box opened its doors in 1947, the hotel rapidly became one of Africa's best loved and most distinguished hotels. The combination of colonial charm, impeccable service, lush tropical gardens, and breathtaking seaside setting swiftly gained it a reputation that was legendary the world over. The setting, the architecture, the décor, the cuisine – everything conspires to create a magical experience that affords a wealth of exceptionally pleasurable experiences and warm memories. 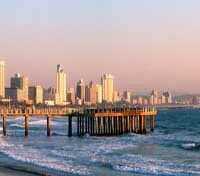 Durban offers the choice of relaxation along its beaches with so many water activities to choose from. For those who are more active, sign up for one of the many tours available on-site: visit the San Rock Paintings, Drakensberg Mountains, Sani Mountain Pass, tour the city, Zulu or Inanda Heritage Tour, walk through the Kranskloof Reserve, visit the Hluhluwe/Imfolozi Game Reserve, and more! Take your flight from Durban to Johannesburg today. Flight time is approximately 1 hour and 10 minutes.